Remembering to water your houseplants can be tricky. If you want to keep them alive you’ve got to either stick to a watering schedule or figure out a way to get the plants to water themselves. Designers JiaChen Du, YangHan Wang, WenZai Ye and DanDan Liao of Guangzhou Academy of Fine Arts designed a self-watering flowerpot that requires far less attention than most others. 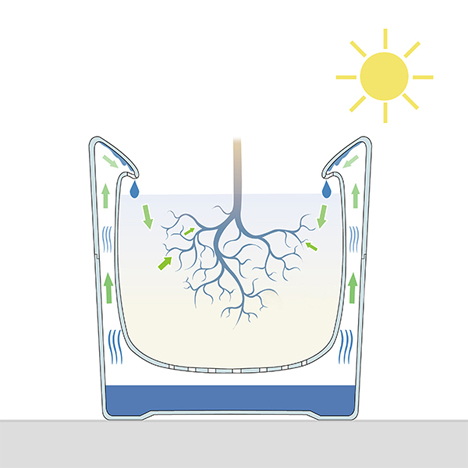 The Water Recycling Flowerpot is a double-wall glass structure that allows water to evaporate, collect on the glass and then drop back into the soil. 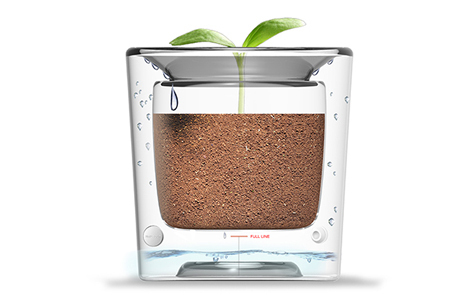 It’s a natural type of irrigation that prevents both over-watering and under-watering. 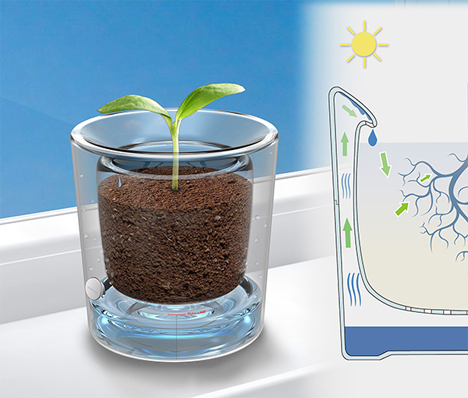 An added benefit of the flowerpot’s glass walls is that you can see the roots of your plant growing and snaking through the soil.